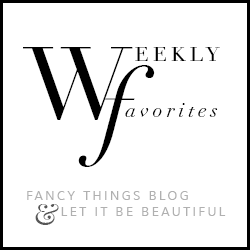 For this weeks favorites I've curated some of my favorite pieces that I have my eye on at the Biggest sale of the year. Nordstrom's Anniversary sale began last Friday and it's a sale you don't want to miss. They only have these great prices for a limited time so don't miss out on fabulous opportunities to score big for your closet. My list is plenty big including this Kate Spade case, a new pair of Tory Burch sandals, and in preparation for fall... these gorgeous over the knee boots. I love both of these jackets and at the sale price I can get them both too!! Shop this post and more below!